Having recently appointed new offensive and defensive coordinators, first-year University of Maine head football coach Nick Charlton has made further assignment changes within his staff. Pat Denecke and Justin Flores have been promoted. Denecke has been elevated to assistant head coach and run game coordinator in addition to his duties as the offensive line coach. Justin Flores has been promoted to wide receivers coach and recruiting coordinator. “It was very important to retain and promote coach Denecke and coach Flores within our Black Bear program,” Charlton said. Charlton previously announced that Mike Ryan will serve as the defensive coordinator and that Andrew Dresner will take over as the offensive coordinator. Denecke, in his third year on the Black Bears staff, was promoted to offensive line coach in December 2017 after serving as tight ends coach in 2016. He helped develop All-Colonial Athletic Association linemen Liam Dobson and Cody Levy. The 2018 offensive line paved the way for a UMaine rushing attack that averaged 122.1 yards per game. Flores, a second-year coach at UMaine, has been directing the running backs. He coached two 1,000-yard rushers in all-conference picks Josh Mack and Ramon Jefferson. First-year coach Dean Petzing will continue to mentor the tight ends after working with senior Drew Belcher, All-CAA second-team choice. 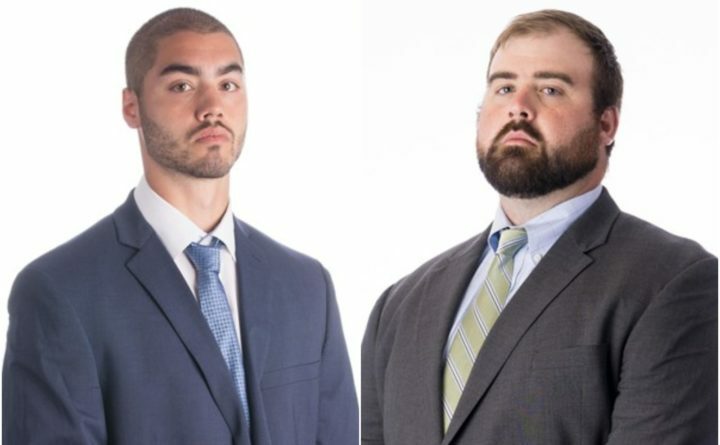 The Black Bears staff also includes special teams coordinator and outside linebackers coach Jared Keyte and cornerbacks coach Diamond Weaver.